The beginning of the school year is a great time to build your career! This fall, Career Development Services (CDS) welcomes new and returning students with a full slate of workshops and events. In addition to resume writing workshops and mock interviews for job seekers, CDS has tailored four new tracks for professionals at all levels. Discover which program best fits your current career goals and how CDS can help you today! Thursday, October 19 – Next Steps in Higher Ed: Is Law School Right for You? SPECIAL EVENTS: In addition to providing targeted workshops, CDS is hosting a Student Welcome Night on Thursday, September 14, and is teaming up with student associations across the college to present the Student Association Meet and Greet on Thursday, September 28. Campus Philly, a CDS partner, is also hosting a Career Launch Series that features SPARK Philly (Oct. 3), Online Job & Internship Week (Oct. 23-27), Create-adelphia (Oct. 24) and Leadership Connection (Nov. 14). For more information about any of these opportunities, please call 215.670.9202 or email cds@peirce.edu. To sign up for workshops and events, visit peircecds.eventbrite.com. Current students can also add CDS sessions to their Canvas calendars by registering at peirce.edu/gocds. 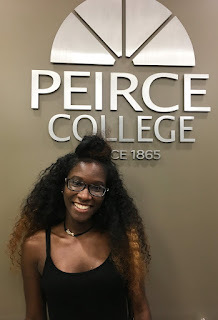 Welcome to "Transfer Student Spotlight," a new monthly feature here on Peirce Connections that highlights a current student who came to Peirce College after graduating from one of our partner community colleges. To kick things off, this month we’re featuring Healthcare Administration student Kadejah Johnson, who earned her associate degree in 2016 in Liberal Arts from the Community College of Philadelphia (CCP). When Kadejah was in high school, she dreamed of becoming a teacher. But after enrolling at CCP, she saw the benefits of keeping her options open with a well-rounded program. After taking classes that exposed her to the healthcare field, she found her true calling. Currently employed by NHS Human Services in Philadelphia, Kadejah is still deciding on exactly what type of role she’d like to pursue after she graduates but hopes to work in geriatric care or insurance. As a transfer student, Kadejah feels her transition from CCP to Peirce College was as smooth as possible. 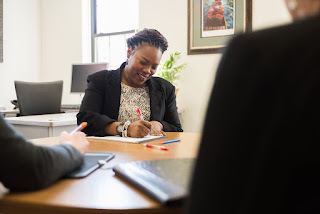 Kadejah was concerned that combining her full-time work schedule with a full load of bachelor’s degree courses would leave her hardly any time to spend with her two children, ages 5 and 2. But with the Peirce Fit® learning model, she’s been able to maintain control over her busy schedule. “Normally I have childcare set up well in advance, but if there’s an emergency and I have to stay home with my kids, it’s great to know I can attend class online on any given day,” she said. When she’s not juggling her many responsibilities, Kadejah loves to travel and read in her spare time. Understandably though, she says her life is dictated mostly by the activities of her children. We salute Kadejah on her outstanding educational achievements thus far, and wish her the best of luck in the future! To hear more stories like Kadejah’s, check back every month for more transfer student stories. Just one year ago, we spoke with adult learners and Peirce College graduates Emma Leigh Morando-Young and Anthony Young about their plans to advance in their careers. Today, we reconnect with both of them, along with their daughter, Benet’ Morando, as all three have now earned new degrees while supporting one another through their individual educational journeys. Emma and Anthony graduated in June 2016 from Peirce College with a Bachelor’s of Art in Organizational Leadership degree and an Associate in Science in Criminal Justice degree, respectively. Reaching her original goal of obtaining an Associate in Science in Paralegal Studies and then continuing on to complete her bachelor’s degree in 2016, Emma took her new skills back to the workforce. But Anthony hadn’t quite reached his educational finish line yet. “After earning my associate degree, I felt that I could go further in my studies and believed that earning my bachelor’s degree was an attainable goal,” says Anthony. So, he kept going, but not alone. Benet’ was still at Peirce College chasing her dream of a degree in Information Technology. Starting with the Year Up Greater Philadelphia program, Benet’ moved from being a Year Up graduate to a Community College of Philadelphia graduate and then finally a Peirce College student. Together, Anthony and Benet took on their final year side-by-side, encouraging each other to the very end. Both Anthony and Benet’ graduated with their bachelor’s of science. Anthony earned his in Criminal Justice, and Benet completed hers in Information Technology. Their journeys may have all ended the same, but they certainly did not start the same. Emma, Anthony and Benet' all chose Peirce College for different reasons that were specific to their personal life situations. Anthony watched Emma’s first experience with Peirce when she earned her associate degree and felt inspired to attend. “I decided on Peirce College because my wife, Emma, had a positive experience with her program when she earned her degree in Paralegal Studies,” he recalls. Benet’, on the other hand, did some research of her own to find the best place to develop herself, personally and professionally, in a way that would prepare her for the future. “I decided that I wanted structure to be able to define the career I wanted to build and to have a reliable support system,” she says. Regardless of their difference in reasons, they all found their way to Peirce College and, more importantly, graduation. Now all three are taking their well-deserved degrees to the workforce to use what they’ve learned to move forward in their careers. 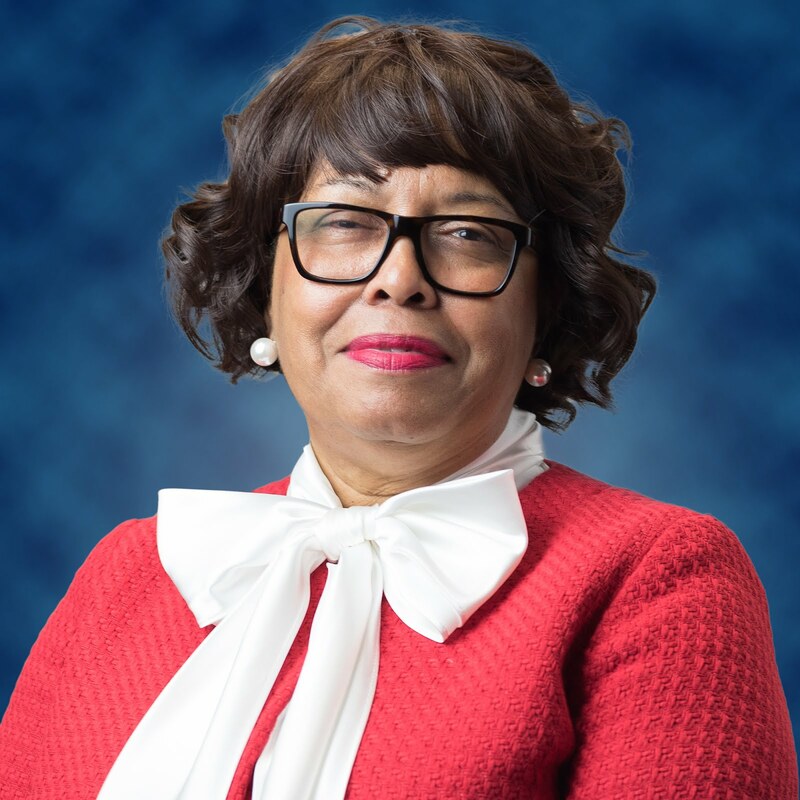 Benet’ took her own advice and as of September 2017, she will be coming back to Peirce College to earn her Master’s of Science in Organizational Leadership & Management. Congratulations to the Morando-Young family for all their accomplishments and best wishes to Benet’ on her next Peirce journey! If you or someone you know is ready to take Benet’s advice by “going for it,” contact an Enrollment Specialist today at 215.670.9000 or admissions@peirce.edu. 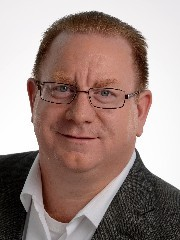 Brian Brennan graduated high school in 1989 and immediately found himself in the workforce. He then started a life and moved further and further away from the idea of going to college. But in 2016, 27 years (!) after last being in school, Brian was ready to make a change. Brian knew he always wanted to go back to school, but he could never quite make it work. Now, things were different; his children were getting older, and he was beginning to find the time to focus on his degree. He knew he was ready to make the move to earn the degree he had always dreamed of. The company Brian works for, a proud partner of Peirce College, offers an Education Assistance program. This led Brian to Peirce’s competency-based education (CBE) program, a life-friendly way for earning his Bachelor’s of Science in Information Technology. After some personal research, Brian found that CBE would perfectly balance his education, work and life. As Brian mentioned, CBE allows students to pay one set fee for each term in which they can earn unlimited credits. This affordable opportunity allows students to finish their degrees quicker and cheaper. Brian finished his first 12-week term in spring and has already earned 16 credits toward graduation! Brian found his niche with Peirce’s competency-based education program. Now he’s on his way to earning his dream degree while staying involved in all other parts of his life. Currently the Director of Workforce Services Operations, Brian hopes the education he’s getting will help him move up to managing more application operations. If you or someone you know has two or more years of experience in Information Technology or an Information Technology associate degree and is looking to finally earn that bachelor's degree, check out Peirce’s competency-based education program by visiting peirce.edu/CBE. Why Should You Choose Peirce’s Healthcare Masters? 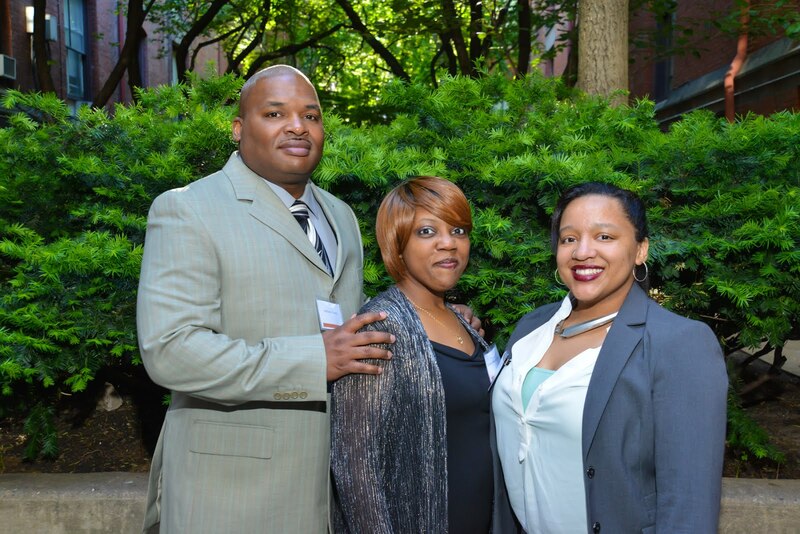 Philadelphia’s adult learners know Peirce College is the place to continue their college education and earn a master’s degree. Wait. You didn’t know Peirce had master’s degrees? Dean of Graduate Studies Dr. Adrian Zappala explained our graduate program here last month in case you missed it. So, you’re probably wondering if there’s a Peirce Graduate Studies degree that’s right for you. If you’re pursuing a career in healthcare leadership, then our newest degree could be the path you need to get there. Peirce added our Master’s of Science in Healthcare Administration in 2016, and our students have benefitted from how we’ve continued growing and developing the program by adding new classes, practices and formats. Today, healthcare students can come back to school at Peirce feeling confident and prepared to take this next step of their educational journeys. Why should YOU come to Peirce College for a Master’s of Science in Healthcare Administration (MSHCA)? Today’s healthcare managers face evolving challenges requiring fast, strategic and ethical decision-making skills. Peirce’s MSHCA program prepares students for corporate healthcare leadership with the necessary skills to execute strategies for building effective, efficient and safe administrative practices for quality healthcare delivery and services. 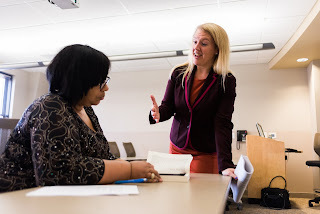 The MSHCA program also coincides with our Master’s of Science in Organizational Leadership and Management (MSOLM) program to reinforce leadership theories into our Healthcare grads’ minds. If you or someone you know is interested in earning their Master’s of Science in Healthcare Administration at Peirce, it’s easy to get started! Contact the Office of Graduate Studies at 215.670.9325 or email masters@peirce.edu with any questions. When you enroll, you’ll feel confident that a graduate degree is in your future because Peirce’s program is more convenient and flexible than you ever thought earning a master’s degree could be. To learn more about our other Graduate Studies program, Organizational Leadership and Management, keep an eye out for the next Graduate Studies blog! For over 150 years, Peirce College has been the College that really works for working adult learners like you. So many students and alumni have come through our doors feeling directionless in but left with a career-focused future. Help us spread that success to others! Join us on Friday, August 11 from 9:00 to 11:00 a.m. for Refer a Friend Day and bring someone who needs an extra push to go back to school. We’ll be hosting a Peirce College brunch for you and your friend to celebrate your current successes while introducing your guest to the Peirce family. Enrollment specialists will be there to talk to your friend about which program is right for them, how they can apply, how they can qualify for financial aid and even how they can register for classes. Your friend will learn how to do it all while enjoying some light breakfast refreshments to start their Friday. Whether you’re a current student or alumni, this is a chance for you to show your Peirce pride by bringing someone back to your home turf. We want to welcome everyone we can into the place where dreams become reality. Visit peirce.edu/friend to register you and your friend for Friday, August 11. P.S. 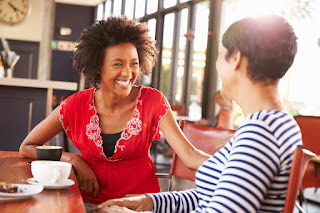 If your friend enrolls, you’ll both leave with something special! Giselle A. Marte-Torres started at Peirce College in 2001 with one goal in mind: earn a degree. Sixteen years later, Giselle has done much more than earn just one degree. 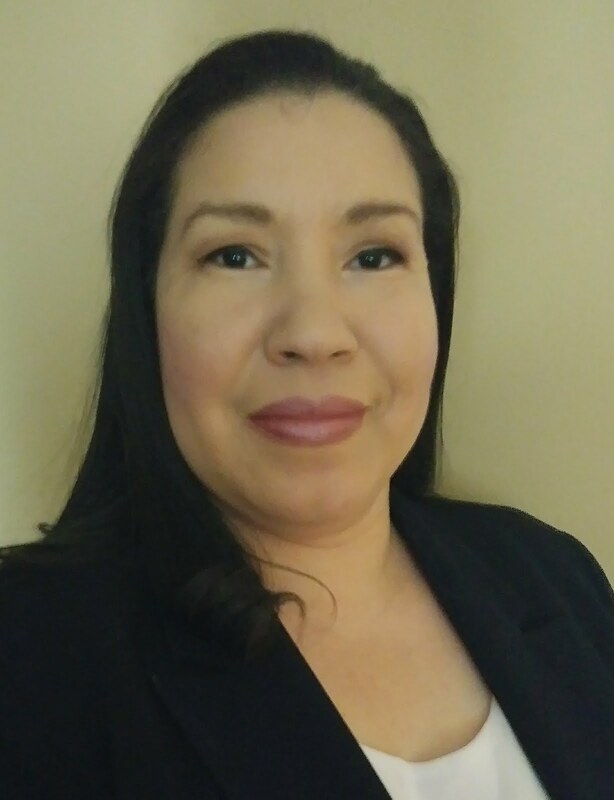 As of June 2017, Giselle officially has her associate degree in Paralegal Studies, bachelor’s degree in Business Administration and, most recently, her master’s degree in Organizational Leadership & Management. One day, as Giselle was driving, she noticed an advertisement on a bus. This was not just any old advertisement; this one spoke to her. She read the line, “The College that really works for working adults” and immediately thought this was “a college that will allow me to learn at my pace, given the fact I have family and work responsibilities.” Giselle knew in that moment she was heading back to school at Peirce. Giselle’s initial goal was to earn her associate degree to grow her career. She completed that degree in 2004 but didn’t stop there. Giselle returned to Peirce for her bachelor’s degree, finishing in 2009. Then off she went to pursue her career and take on the world. In 2015, Giselle decided she wanted to keep going. As the economy changes, so does the demand for higher levels of education. Giselle knew this, and if she wanted to continue to grow in her career and provide a healthy lifestyle for her family, she would need to head back to school for a master’s degree. So that’s what she did. “Ultimately, I decided my career success is up to my ambition of where I want to go and how high I want to climb the ladder,” says Giselle. After completing her third degree with Peirce, Giselle is now confident to take her classroom knowledge and experience to the real-world to share what she has learned and accomplished. “[The] graduate program has taught me how to model the way, inspire a shared vision, challenge the process, enable others to act while encouraging the heart of people in a productive, innovative and respectful manner in order to positively motivate mine and their inner work life,” she says. In honor of her hard work and dedication to not only her studies, but also the College, Giselle was the 2017 recipient of the Patricia A. Rucker Graduate Studies Award for Academic Excellence. Congratulations to Giselle! If you or someone you know is looking to return to school, contact an Enrollment Specialist today at 215.670.9000 or admissions@peirce.edu.